On computers with no or restricted internet access (behind a proxy or firewall), users will need to use our manual registration process below. Go to Help > License Information from the top menu. This will open the license dialog. Click on the Activate License Key button. Click on the second tab called “Advanced”. We will email you back a registration file. Save the registration file on your desktop. Browse to the registration file on your desktop. 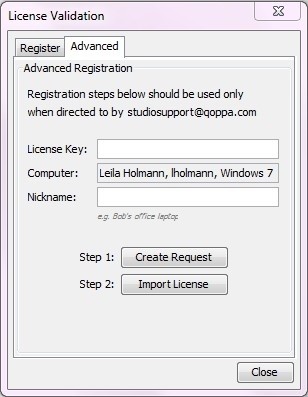 PDF Studio will validate the registration file on your computer and activate the production version.